your own snowman themed Christmas tree. Snowy white floral sprays and oversized snowflake shapes are used to create a kind of icing coat on the tree which creates a great background for the colorful Christmas ornaments used. 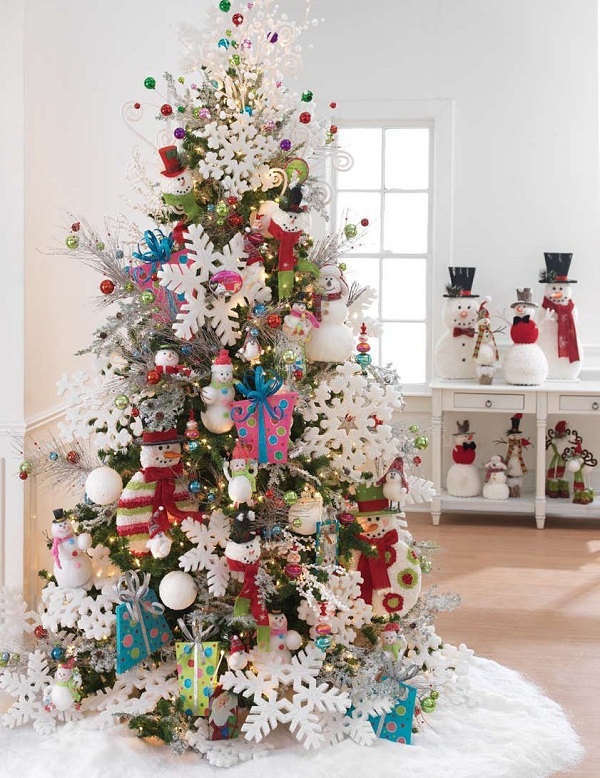 The Frostyland Snowman tree not only includes traditional red and green colors, but wintery blues, cheerful pinks, and soft purple shades are blended in to create a colorful winter celebration tree. 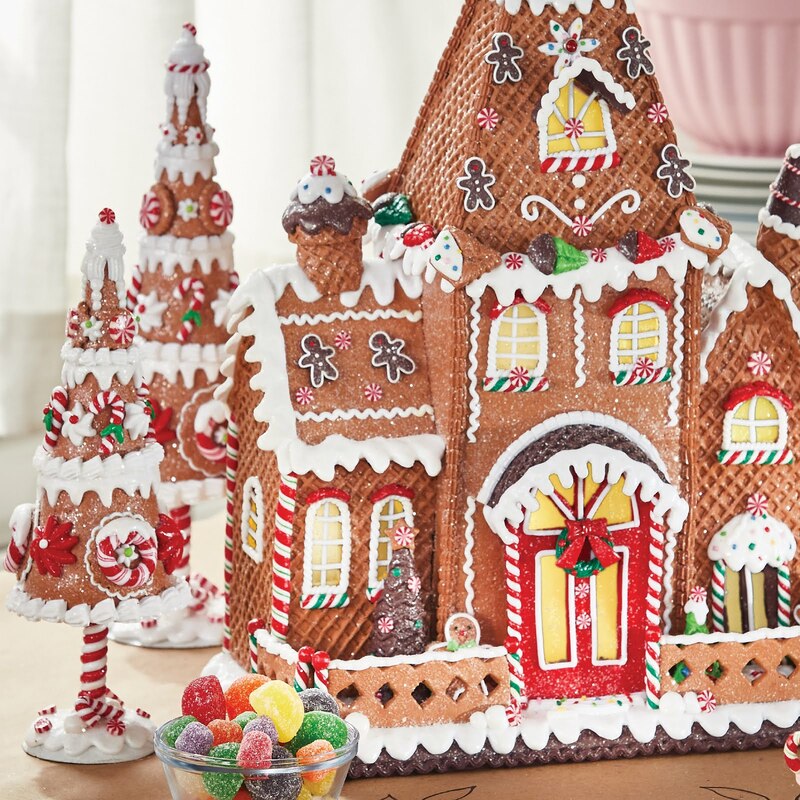 Below you will find the recipe to recreate the RAZ Frostyland Christmas Tree shown in the photo above. The list includes the item number, quantities needed, and the name of the item. Items marked with the * are not listed in our store. Christmas decorating photo gallery page. Questions about this tree or any other RAZ Imports item? we are your RAZ retail center.